Make a splash in Aloha this summer! Combining superb fit with this striking design, Aloha puts a spin on swim with this contemporary design which features a zesty tropical print. 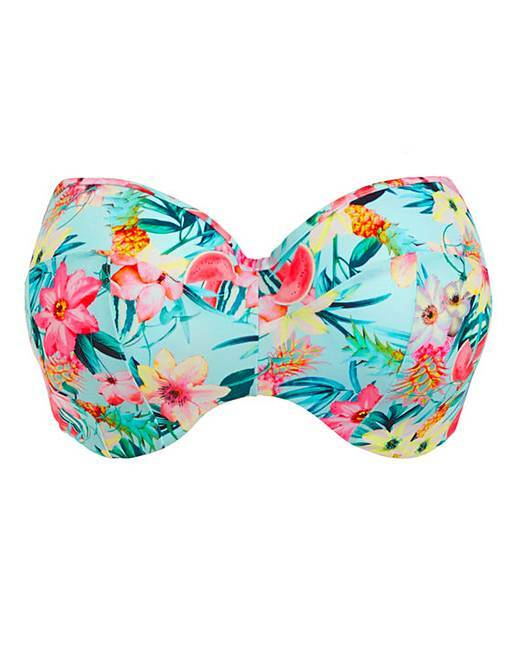 Designed in a lightly padded and concealed underwired bandeau shape, this top not only offers you style but comfort and support also. With detachable and adjustable straps for multiple ways to wear, Stay4Sure anti-slip silicone coated elastic and a centre back clasp. Why not pair up with the matching bikini briefs? 65% Polyamide, 22% Polyester, 13% Elastane.